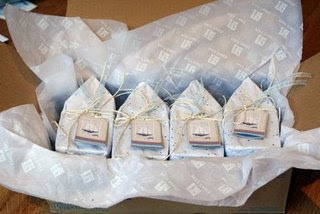 Here they are packaged up, don't visit my blog if you want to keep it all a surprise! I am going to be stalking my mailman all week now! Looking good - I peeked - Looks great! ooooh! -but I just can't peek....! I was lucky enough to be in your group, I adore the sailing shelf. My son Strauss's room is a sailing theme also and I too would love a real life sized shelf for him. Great job on the little details too!!! I'll post on your shelf tomorrow. I truly believe that we have reached the point where technology has become one with our society, and I am fairly certain that we have passed the point of no return in our relationship with technology. I don't mean this in a bad way, of course! Societal concerns aside... I just hope that as the price of memory drops, the possibility of transferring our memories onto a digital medium becomes a true reality. It's a fantasy that I dream about almost every day.